It shouldn’t be a surprise that much of what’s happening around cannabis is actually happening indirectly to the industry. Like any industry – mining, forestry, agriculture, etc. – companies working within the sector need suppliers to keep them productive. Equipment sales, service companies, innovative tech companies, and others can make a good living exclusively catering to niche markets. Take AgronomicIQ. This spinoff subsidiary of Dehumidified Air Solutions in Ottawa provides a modified version of its parent company’s industrial-strength dehumidifier. “We had been working with our pool product line in different kinds of rooms and we discovered that we could design a product that was specifically targeted for the cannabis industry. So we modified our indoor pool dehumidifier to make it grow-room specific,” said Geoff Brown, brand and product manager at ArgronomicIQ. 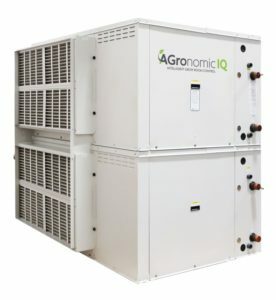 The company supplies licensed producers in Canada and growers in the US with “intelligent grow room control” dehumidifiers to reduce mould growth for indoor cannabis operations. The so-called ancillary market makes up a large portion of the overall cannabis industry. That’s why Merida is investing in ancillary companies. One company is Simplifya, which helps licensed producers comply with documentation requirements of their licence. Health Canada requires careful notes about the crop including number of plants and the weight of each plant. However, plants are often moved from room to room, and can lose water weight during growth. This makes tracking individual plants difficult. The Simplifya system, and the name suggests, simplifies this process so that licensed producers can easily and accurately meet this documentation requirement. “The government wants something deeper. They always want validation. So you can tell them look, here’s the dried weight of the plant, but we can tell you how much water it lost,” Baruchowitz said. Read about other cannabis industry suppliers by clicking on the link below.